Here are 9 of many tools that can be used for the initial task of finding influencers aligned with specific areas of subject matter expertise. Several go beyond discovery and also support filtering, managing, engaging, monitoring and reporting. Traackr – A premium category of service that is billed as an influencer marketing and analytics platform, Traackr helps you discover influencers, get social insights and figure out how to best connect. Features include an influencer search engine, profiles, dynamic lists, share of voice reporting, sentiment analysis, trending content and others. PR, Communications and Marketing pros use this service. Linkdex – With roots as a SEO tool, Linkdex is a paid tool that has reinvented itself as a SaaS solution that unites Search, Social, PR & Content channels for “organic marketers”. Features include content analysis and planning tools based on analysis from technical site crawls, content analysis, social share counts, backlink counts, ranking, value and multi-channel analytics data. At it’s core, Linkdex is a digital marketing tool but also increasingly used by public relations firms that are adding integrated marketing to their services mix. Little Bird – Founded by past RWW pioneer, Marshall Kirkpatrick, Little Bird is a paid tool that helps users discover influencers that are validated by their peers on Twitter for a variety of topics as well as emerging topics. It also supports competitive intelligence, content marketing, social sales oriented research across multiple social networks. followerwonk – With a focus exclusively on Twitter research and analytics, this free tool from the folks at Moz provides a handy search engine for influencer discovery as well as tools for competitive comparisons, tracking and data visualizations. A social authority filter allows sorting of influencers and reports can be saved for future reference. PeerIndex – As a premium, paid social media analytics service, PeerIndex has built an Influence Graph to identify influentials by topic that marketers can search against (PiQ) to find inflencers. Features include: audience insight, alerts, influencer research and tracking, social analytics and reporting. Buzzsumo – A free tool that is pretty much still in beta mode, Buzzsumo promotes itself as a research tool for content marketing and SEO by providing insights into the most popular content and the influencers sharing it. Search by topic or a specific website to find the most popular content sorted by total social shares. Search the influencer option and results from Twitter data are displayed. All results can be filtered for refinement and exported as a CSV or XLS for further analysis. Keyhole – With a freemium model, this hashtag tracking tool helps surface content and influencers, especially related to events that are using a hashtag. Views include conversations and top content as well as drill downs for influencers. Results can be copied to your clipboard. There are also a Newsroom Intelligence and Audience Intelligence paid tools that do not have a free trial. Kred – A product of PeopleBrowsr, Kred is a paid influencer measurement tool that promises to help marketers identify, prioritize, and engage influencers. Offers a Rewards service that will connect marketers with influencers as well as audience engagement analysis, influencer leaderboards and email marketing. KredStory is a consumer application for curating and sharing on social networks and analysis of your own social media activities that also offers each user a Kred score. (Klout is Kaput!) Probably one of the most well known influencer discovery and engagement tools, Klout is a paid service that analyzes individual social network content to arrive at a Klout score. Early in 2014, Klout changed it’s interface to be more of a content curation and sharing platform that consumers can use. Klout for Business provides a service to research, segment and manage influencer lists, engage influencers with a Perks program, and amplify brand messages with native ads. Before you start with influencer discovery, don’t make the mistake of simply shooting from the hip, so to speak, and search these tools using only your top SEO keywords. Think more from the point of view of who you want to influence. What topics will be important to them? What questions do they have during the sales cycle and what do you know about their preferences for information discovery, consumption and interaction? Those insights (in combination with SEO keywords) will help guide you towards a more productive search for influencers to engage with. Talking to your sales, public relations & marketing staff. By “practical influencers”, I mean practitioners who spend more time “doing” that talking about doing. Many of them do not self-identify as an influencer and yet, when they speak – everybody listens and many of those listeners are inspired to action. Rather than influencers with the largest following, engaging with niche influencers might be a more productive approach. There’s a time and a place for the high profile influencer too, but it’s usually a mix of brandividuals with authoritative experts that have an active following that proves to be most valuable for everyone involved. Is your business making a specific effort to work with influencers as part of your marketing and communications programs? Where does influencer relations sit in your organization? Public Relations, Marketing, Social Media? I like klout alot. I don’t use the paid service but I do use the chrome aplication that shows the klout ranking on the twitter timeline. I like it a lot. Thanks, Lee, for a fabulous list of tools that help people really drill down and target influencers. One of the best things about knowing the big dogs in your industry is that you can not only connect with them, but learn from them. That’s true Joan – never ending learning is a must. The single greatest one? GroupHigh. Thanks Marcy, it looks good for blogs specifically. I wonder how well it does with individuals who might write for different blogs or who might not blog at all but have a substantial network otherwise? My personal favorites are Followerwonk and BuzzSumo – both are great tools at identifying influencers. I use them together to generate a more complete list, as I get different results from each. Would love to read a post from you on how you use Followerwonk + Buzzsumo together for your influencer research! Great up and coming one….Splashscore. Followerwonk is a great tool, and one that doesn’t receive a lot of attention. I think a great example of a practical influencer is you, Lee. You spend more time talking and replying to others than broadcasting, and talking about your achievements. There are many so-called “influencers” that never bother replying to normal people who don’t have klout or social influence. Thanks for this Lee – excellent information as always! Does anyone know if there is a good listening and discovery tool that is able to “login” to forums to search and find influencers, topics of interest, brand mentions, etc.? I need a way to monitor a whole bunch of forums. Thanks so much Lee…will check them out now. I used Klout, but since its renovation not works well, I have always problems with twitter. Yes, I agree as I found Klout not to work too well. is vital to success -atleast to more effectiveness! Great list Lee. I’d definitely add GroupHigh to the list of essential tools. Thanks for sharing this list Lee. I’m not familiar with some of them but I think it would be very useful for every online entrepreneur. Hi Lee, Thanks for this great list. Would love to give you a VIP tour of Twtrland. Up for that? Definitely. But… I am on the road for weeks. Thank you for sharing these 9 of many tools that can be used for the initial task of finding influencers aligned with specific areas of subject matter expertise. I am actually using followerwonk. This tool actually provides us a competitive comparisons, tracking and data visualizations. Good stuff, thanks Lee. As the newest entrant in Influencer Marketing, we have one big different philosophy: you must segment your audience to find the unique influencers. In this way, you get context and segment-specific influencers and unique media/blogs for a distinct audience. We have 22 million profiles to segment. Imagine a sugar-substitute brand who has health-conscious people in the UK as a segment and weight-conscious people in the US. Each will have very unique blogs, media, and people who influence them. Doing this in real time ensures you find those surprise influencers, too. Thanks Lee for the good work and advice on this front. Good job. 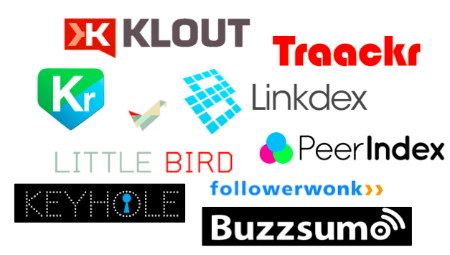 I believe that Twtrland.com should be part of this toolset.